In the history of Balanced Scorecard implementations and organizational change in general, stories of projects falling by the wayside are numerous. Even organizations that have had great success and demonstrated breakthrough results have fallen away from the methodology, either due to a change in leadership or from the initiative growing stale. In the case of The Jel Sert Company, a mid-size food manufacturer based in West Chicago, Illinois, the project never quite gained the traction it needed to sustain itself, and the leadership team made the conscious decision to end it. In 2003, I was finishing up the MBA program at DePaul University with the Change Management course, and met with the CEO of Jel Sert (where I was an employee) to see if he had any topics I could study for the class group project. He asked me to look into the reason the company struggled to collect ideas from the workforce. The employee survey conducted showed that one of the culprits was that employees had no sense of direction for ideas; they did not know the most important areas where they should focus their creativity. The solution was to develop and communicate the strategy to the organization. In the first attempt at strategy development, we made up our own methodology. Although it generated a lot of great discussion, the result was a list of goals that promptly ended up on the proverbial shelf. The following year, a brochure for training by Balanced Scorecard Collaborative crossed my desk. After going to the training, I convinced the CEO that Balanced Scorecard was the solution for developing and sharing the strategy with the rest of the organization. The Balanced Scorecard is a strategy management methodology that defines organizational success from four perspectives: financial, customer, process and learning & growth. It consists of two key tools: the strategy map, which is a one-page visual representation of the strategy, and the scorecard itself, which includes the measures and targets that form the heart of the methodology. For more information, see any of the books or articles written by Drs. Robert Kaplan and David Norton, the originators of the Balanced Scorecard concept. By the end of 2004, the executive team had developed the strategy map and the scorecard. Had we finished there, it would have ended up on the shelf like the previous plan. However, as a communications and progress-tracking tool, the Balanced Scorecard methodology provides the means to execute the strategy instead of just documenting it. The first act of communicating the strategy to the organization was an all-corporate meeting in which the executive team presented the strategy map. Shortly thereafter, each department head conducted meetings with their employees to help link their jobs to the strategy map. On a monthly basis, we published a Strategy Update newsletter and the CEO shared progress at a luncheon. The executive team met monthly to review the scorecard. The scorecard itself was kept in Microsoft Excel on a shared server. Each metric owner was responsible for updating his piece of the scorecard. Progress was made on the strategic plan through initiatives – projects that focus on closing the gaps between current measure values and the defined targets. Most initiatives at Jel Sert took the form of process improvement teams, which focused on objectives such as improving operational flexibility, improving order fulfillment, and increasing quality levels. The family that owned Jel Sert had run the company based on gut instinct and industry knowledge – successfully, for the most part – for the previous 80 years. I suspect that writing down the strategy and measuring against it were confining for the owners. 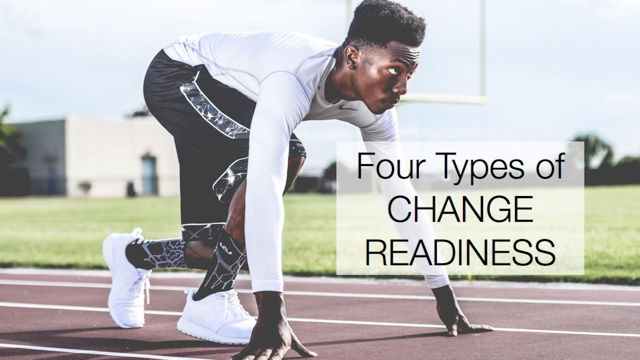 In general, it is important to understand the implications of the change for the executive team and make sure they are committed to changing the way they do business. In this case, the executive team had to increase their level of accountability through agreement to a plan, measuring progress, and by communicating their intentions to the rest of the organization. As a privately held company, the owners had to communicate more than they previously felt comfortable. Although employees appreciated and utilized the additional information, there was a limit to the amount of information the owners were willing to share. While everyone received the strategy map, only management had access to the scorecard. Communicating more specific information may have helped focus the organization on achieving key objectives. When using a specific methodology like Balanced Scorecard, it is important to agree on naming conventions, as the language can otherwise be confusing. Having consistent definitions at the executive level will make it easier for employees to have a clear understanding of how to interpret the information they are given. Focus strategy meetings on issues, not on measures or targets. It is easy to get hung up on the numbers themselves and not on finding solutions. The measures are sometimes not perfect. It is more important to know if you are moving in the right direction. Until the methodology has been proven, focus the efforts on gaining small strategic wins. At Jel Sert, once the process improvement program had been set up to improve strategic processes several non-strategic processes were included as well. When the non-strategic project successes were celebrated before any material strategic improvements, the program lost its perceived importance. Although the formal Balanced Scorecard process is no longer used at Jel Sert, positive remnants remain. Managers talk about strategy, and process improvement teams continue to form around key objectives. Some of the fundamental measures that were created for the scorecard are still used to track performance. The company has thrived in the last couple of years, based on acquisitions and strategic decisions that did not fit into the original strategy map. Despite this fizzled implementation, the Balanced Scorecard is a great methodology for strategy execution. Like any change initiative, the leaders have to be fully committed to the process – at the beginning and throughout – and change agents need to be vigilant in reducing factors that make the organization lose focus.